The excavated portion of the incredible and mysterious ruins at Tikal covers about ten square miles. The uncovered portion comprises more than 200 square miles of surrounding jungle. Much of the mystery of this great city remains to be discovered, as only an estimated 30 percent has been uncovered. It’s estimated that up to 90,000 people lived at Tikal and that the city would have had to import 131 tons of salt each year, because of the low salt content in the Mayas’ diet. 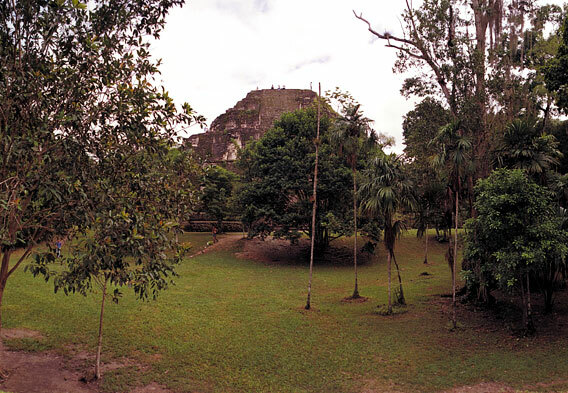 Tikal was used as a location setting in the first Star Wars movie Episode IV: A New Hope, as well as Mel Gibson’s 2006 film Apocalypto. Turkeys are not normally known as particularly beautiful birds, but the ocellated turkey (found only in the Peten area around Tikal, in Belize, and the Yucatan Peninsula of Mexico) is a resplendent creature with iridescent blue, bronze, and green coloring that shimmers in the sunlight. It is one of only two wild turkey species in the world, the other being the wild turkey of North America. This ancient abandoned city that comprises both the most popular attraction in Guatemala and the most important of the Mayan ruins in Mexico and Central America was discovered in modern times by accident. Although there had always been legends among the local people about a vast city with white buildings towering above the jungle, it wasn’t until 1848 that they were spotted by a local gum collector and a governor of the province. In 1853, their descriptions of stately temples and elaborate structures, well-planned plazas and broad boulevards were published by the Berlin Germany Academy of Sciences. Soon, scholars from around the world began arriving to study, clear, and map the impressive ruins. Eventually, an airstrip was built in 1951, and the most important archaeological excavations of the site were carried out by the University of Pennsylvania from 1957 to 1969. A further archaeological project was continued by the government of Guatemala from 1979 to 1984. 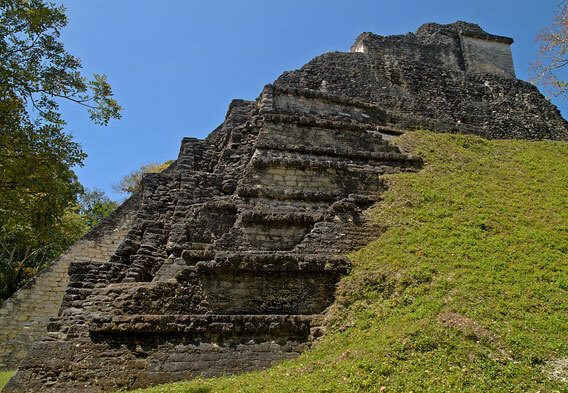 Tikal was one of the most important cities of the Mayan civilization. The earliest monuments at the site date back to the fourth century B.C.E., but the peak of the city’s power was between 200 and 900 A.D., particularly in the late seventh century, and the population grew to about 90,000 at its largest. The last stela (marker) dates to about 834, but Tikal was abandoned by its Mayan residents around the year 950, and a clear reason for the city’s downfall has never been established. The heart of the ruins is the spacious and elegant Great Plaza, which is flanked by two imposing temple pyramids—the North Acropolis and Central Acropolis—and one of the city’s five ball courts. Courts for this ritual game that often involved human sacrifice appear in many ruins throughout Mexico and Central America, with some of the best preserved examples at Tikal and Monte Alban. The vast site is, along with the surrounding Sierra de las Minas Biosphere Reserve, a UNESCO World Heritage Site not only because of the wonderfully preserved ruins, but also because of the rich biodiversity in the surrounding area. This is the largest rainforest in Central America, a habitat for more than 300 species of trees, 54 species of mammals (including a variety of monkeys, giant anteaters, jaguars, and tapirs), and more than 330 species of birds (including the macaw, toucan, stork, and eagle). To explore the surrounding rainforest, it is possible to take canopy tours and zip-line rides just outside the park. The majority of visitors come to visit the ruins. There are maps of Tikal available at the Visitors Center, and these will guide you along the walking paths among the temples and palaces, ball courts and ceremonial plazas, ritual baths and terraces. Many vacation packages that have this site on their itineraries provide a professional and knowledgeable guide to help you interpret what you are seeing. There are more than 3,000 structures over an area of about six miles, and it is not possible to see all of them in a single visit. If you’ve come for an in-depth visit of several days, you can stay at one of the lodging options near the park gates or in the nearby town of Flores. Whether you come for a weeklong visit or just a single day, there are some sights you should not miss. The Mundo Perdido (Lost World) Complex is the oldest of the complexes at Tikal, possibly dating to earlier than 500 B.C.E. Thus, it was most likely the center of the city before the Great Plaza was constructed, and researchers believe that this part of Tikal was a ceremonial complex different from other memorial areas, such as in being accessible to both common people and the Mayan royalty. The platform at the top of the large pyramid here provides a great view of the surrounding area. Built around 740 A.D., this is the tallest and largest of the temples in the park, and it was once the tallest structure of all the Mayan ruins in the region. It is possible that the stately Pyramid of the Sun at Teotihuacan was once taller. It is thought that this is the funerary temple for the Tikal Dynasty's 27th king, and that his tomb remains undiscovered underneath it. Of the three acropolises at Tikal, the South Acropolis is the least excavated, and its significance is only partially understood. 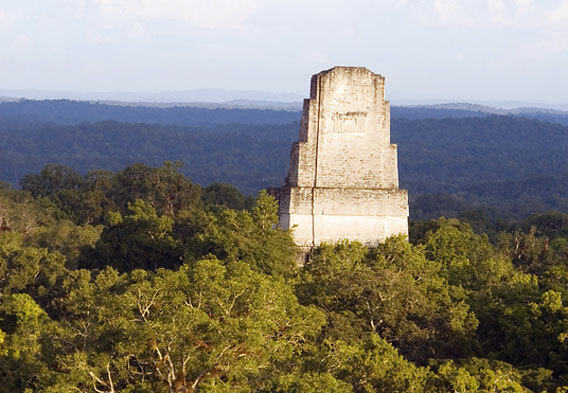 Its origins may date to the Preclassic Period, which would make it one of the more ancient structures at Tikal. The South Acropolis is a massive structure on a main platform covering 220,000 square feet, and atop this are six more platforms, four royal palaces, and an impressive central temple.